Shining a light on classic 20th century pieces, the Mini Lounge is inspired by the iconic lighting of Italian mid-century designer Achille Castiglioni as well as the simple use of forms and materials within Bauhaus-era modernism. 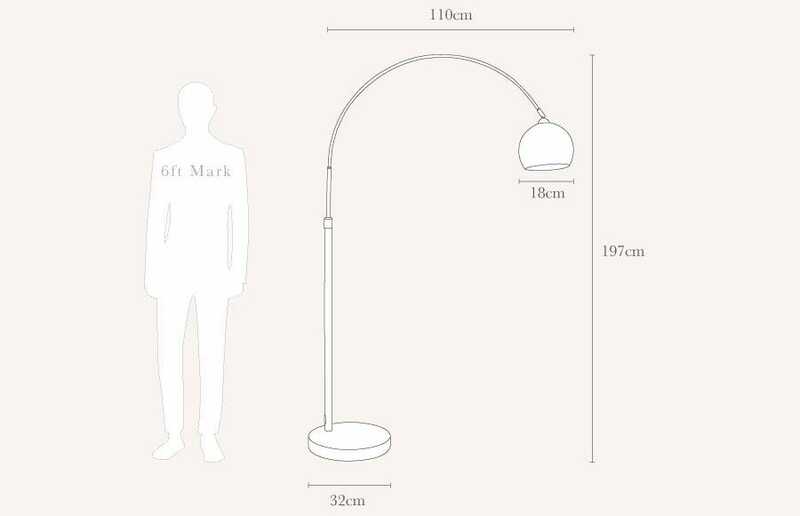 With a curved frame and domed shade finished in soft matt grey, this functional floor lamp is a feature piece in its own right. Stylish floor lamp, looks great over my dining table. The lamp was damaged and difficult to assemble. Good value in the sale - stylish and well made. amazing lamp, thanks so much! The lamp is beautiful fortunately.